It’s no secret that we love wine, but in the pursuit of balance, we also love a refreshing mocktail to keep things exciting in the beverage world! We asked Jeran at Oleander + Palm to come up with a bright concoction to see us through the winter. Check out her blog for more fabulous lifestyle ideas. I don’t know about you, but I’m just not ready to be done with cranberries. 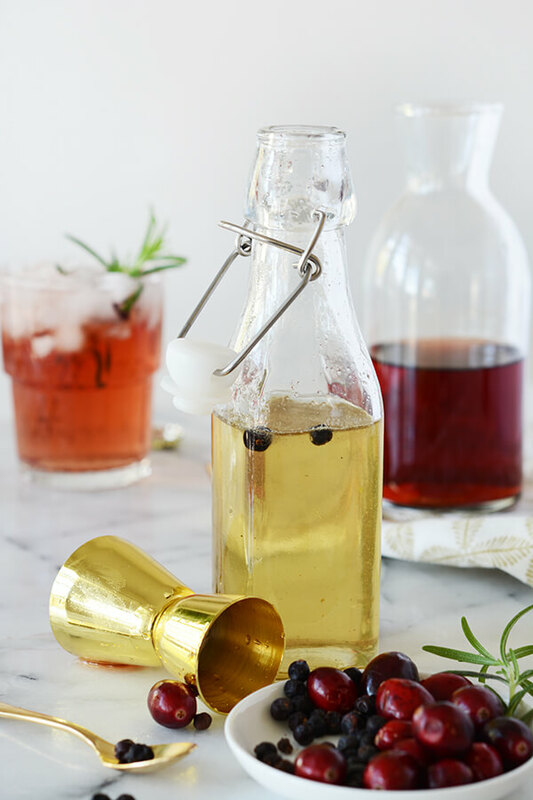 This wintery mocktail is refreshing and earthy all at the same time and juniper berries and rosemary are perfect for this season. Mocktails really are for everyone, but tonic water give this drink a grown up taste and feels like so much more then just a spritzer. 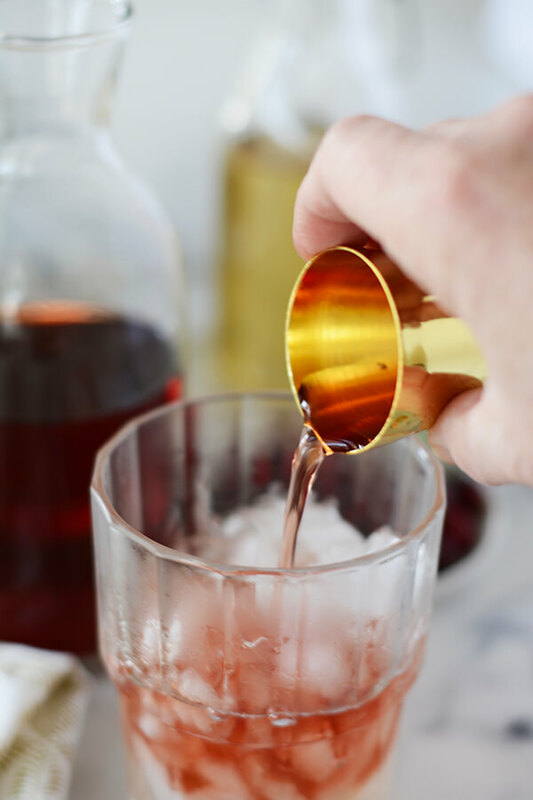 In a glass half filled with ice, add 1 ounce simple syrup and 2 ounces cranberry juice, stir and then top with tonic water. 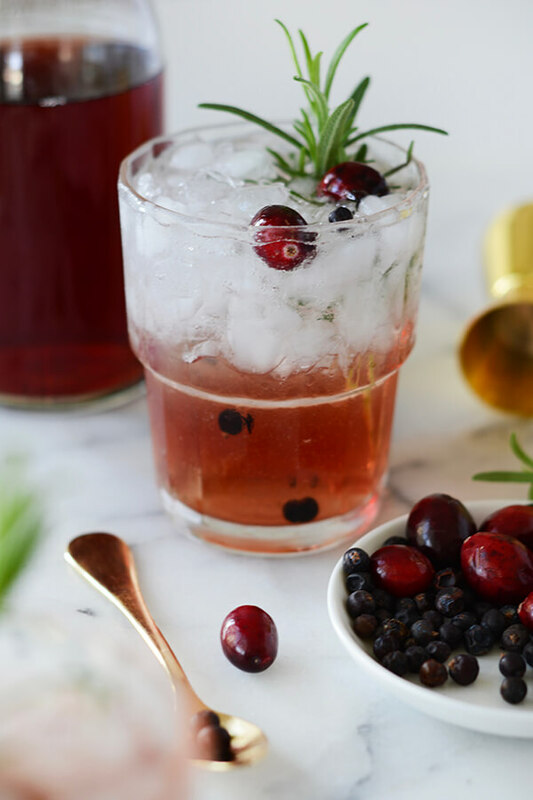 Garnish with a sprig of rosemary and a couple juniper berries and cranberries. Place all the ingredients in a pot. Bring to a boil and boil for 1 minute. Allow the syrup to cool completely. Strain through a fine mesh sieve. Place the syrup in an airtight container and store in the fridge.